Biketoberfest is more than just a fundraising bash. 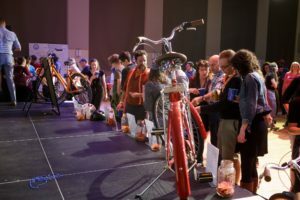 It’s a way to connect the bike community through an evening of celebration, socialization and inspiration. At Biketoberfest, you’ll laugh, chat and dance with hundreds of fellow cyclists while learning about the Bike Union’s campaigns and how you can get involved. As always, we’ll provide delicious local food, beer, wine and cider (free with the price of admission), and raffle off a host of great prizes, including a new Momentum iWant Park cruiser bike and a weekend getaway in scenic Burke, Vermont — home of the renowned Kingdom Trails mountain bike network. 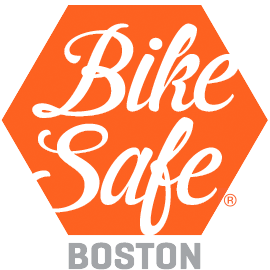 Your Biketoberfest ticket not only grants you access to the biggest bike party of the year, but supports the Bike Union’s mission to make everyday cycling better in Boston. That means securing more miles of bike lanes — like the new separated lanes we won this year on the Longfellow Bridge — advocating for more Vision Zero funding, and hosting even bigger and better social rides and events. The Bike Union is only as strong as its members, and we hope you’ll stand with us — and celebrate with us, too — as we embark on the exciting work ahead. Already a member? Tickets are just $20 for Bike Union members. 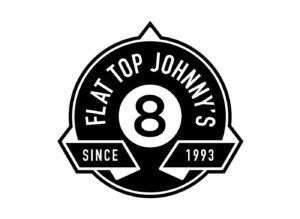 Not a member, or need to renew your membership? A $35 ticket gets you into the party and comes with a one-year membership in the Bike Union. That’s more than half off the standard membership price! All guests get one complimentary raffle ticket to bid on great items like bike-cations, camping gear, gift cards and more! Come with your friends and leave with many more as you mix and mingle with the fine folks of Boston’s bike community. RSVP to the event page for all the latest updates and invite all your friends! Biking to the event? Complimentary bike valet will be available at the door.